THERE is nothing more rewarding than helping out the local community, especially when it can put a smile on the faces of a squad of children, or in this case, two local football teams. When Peter Bruce, of SBP Accountants, heard the under-13’s and under-17’s teams from Deveronvale Football Club were raising funds to attend the Loch Lomond Youth Soccer Festival in August, he couldn’t resist the opportunity to jump on his bike and help out. The experienced accountant, who has worked in the industry for over 27 years, has cycled 87 miles to raise money to fund the club’s trip to the football festival, which will cost around £12,000 for travel, accommodation, food and entry fees. 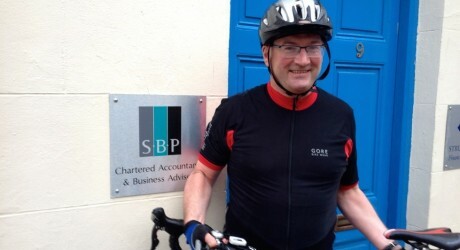 Peter, who works at SBP Accountants’ Fraserburgh and Banff offices, joined his friend, Alan Neish, and cycled from Inverness to Banff in June and managed to raise approximately £800, which will go towards covering the cost of transportation for the two teams. Peter and Alan were first inspired to help out the teams as both of their sons play for the under-17’s team and Peter’s daughter is also a defender for the under 13’s team. Partner at accountancy firm SBP Accountants, Peter Bruce, who has extensive accountancy experience in farming, fishing and construction, said: “It was definitely a tough challenge, but we managed and are extremely pleased with the amount we have managed to for the two teams. “It is a lot of money for the club so fundraising is essential and we wanted to do our bit to help them out. It was kind of a personal challenge for Alan and myself, combined with a bit of fundraising and we were determined to execute it well. 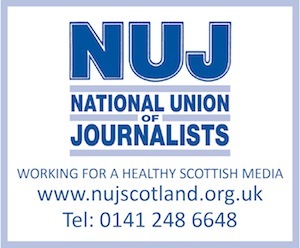 A total of 33 boys and girls will be heading to the football festival, which takes place from 7 – 11 August 2014 at Stirling University. The event, which is now in its 14th year, welcomes around 100 football teams and unites young athletes from around the world, from countries including America, Trinidad and Norway. The teams have already been busy fundraising and have organised bag packing sessions in the local supermarket in Banff, participated in a sponsored walk up Bennachie and organised a race night. Check out twitter.com/nonstopstories. Check out too twitter.com/allSportsPR.